1,4-Dioxane: A solvent used in adhesives, inks and other consumer applications, dioxane can also contaminate indoor air. 1-Bromopropane: A solvent used in adhesives and degreasers, it was once a common dry-cleaning fluid. In addition to drinking water, the compound has been found to contaminate indoor air, surface water, groundwater and soil. 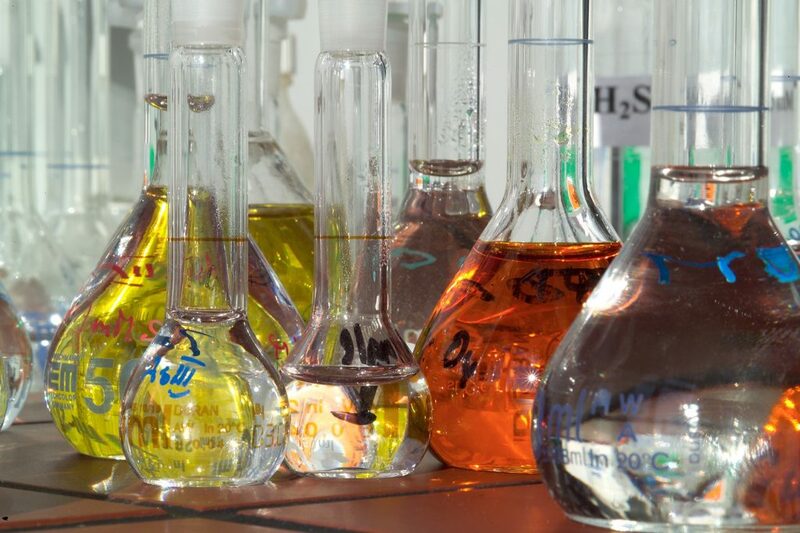 Carbon tetrachloride: A strong solvent once used in cleaning, fire extinguishers and refrigeration, the sweet-smelling contaminant has also been found in indoor air, surface water, groundwater and soil. Methylene Chloride: Another solvent, this chemical has been used as a paint stripper and degreaser and in special applications. It has also been found in indoor air, groundwater and soil. N-methylpyrrolidone: This solvent was once used in the petroleum, textile and pharmaceutical industry. Contamination has also been found in indoor air. While not a carcinogen, it has been found to cause reproductive problems. Trichloroethylene (TCE): A solvent used to clean many materials, it has also been found in indoor air, surface water, groundwater and soil. Tetrachloroethylene or perchloroethylene: Highly stable and nonflammable, this solvent is commonly used in dry-cleaning. Other than drinking water, it has been found to contaminate indoor air, groundwater and soil. Asbestos: A proven carcinogen, asbestos has been used in many applications, from floor tiles to brakes, mostly involving the use of fibrous or heat-resistant materials. Today, most uses are banned in the U.S., but some imported products still contain asbestos, and asbestos diaphragms are still used in the electrolytic production of chlorine gas. Cyclic Aliphatic Bromide Cluster (HBCD): A flame retardant used in polystyrene foam, textiles and electrical and electronic appliances. Can cause acute toxicity in aquatic species. Pigment Violet 29: A dye used to color a variety of materials, this chemical can cause aquatic toxicity. I’m pleased to see that the EPA is still referring to the amended law as the Toxic Substances Control Act. (See press release.) I was not looking forward to using the more elaborate name — the Frank R. Lautenberg Chemical Safety for the 21st Century Act. Some people are shortening the name to the Lautenberg Chemical Safety Act, or LCSA. The EPA will now evaluate these chemicals to determine whether they pose “an unreasonable risk of injury to health or the environment.” The agency will begin with a scoping document to describe the hazards, exposure risks, types of use and susceptible populations. Risk evaluations will be based on existing studies, but the EPA can call for more research, if needed. Risk evaluations must be completed within three years. If the EPA determines that a chemical poses an unreasonable risk, the agency must take action within two years after such a determination is made. General aspects of the revised law are covered in a story I wrote a month ago for the Encyclopedia of Puget Sound as part of my reporting project on the Chemicals of Emerging Concern. How many more chemicals will be reviewed for safety depends in part on funding. At least 20 risk evaluations must be underway within 3.5 years, but more could be accomplished with extra congressional funding or if a business wishes to push ahead on a specific chemical by paying for the analysis. What will happen after President-Elect Donald Trump takes office adds uncertainty to the future of chemical testing. It seems unlikely that Congress will repeal the act, since it was approved with overwhelming bipartisan support. Trump has said he would like to eliminate the EPA — but Trump has said a lot of strange things that don’t qualify as formal proposals. With Trump’s support, Congress could cut funding to the EPA, leading to repercussions for a variety of environmental programs, not just those dealing with chemicals or safe drinking water. We’ll have to see what happens. Some groups opposed to the use of asbestos have celebrated EPA’s new legal authority over the substance, but they worry what Trump might be able to do, since he has expressed support for asbestos as a building material. The EPA used the Toxic Substances Control Act in 1989 to ban most uses of asbestos, but industry successfully sued the agency to get the ban lifted. The U.S. Court of Appeals ruled, among other things, that the EPA failed to show that the proposed restrictions were the “least burdensome” approach to reduced risk. The George W. Bush administration did not appeal the ruling, which stood until the law was updated last summer. The new version does not allow cost to be a factor in assessing risk. Although cost can be considered when determining restrictions, the law no longer requires a “least-burdensome” approach. A good story by writer Britt E. Erickson about asbestos, the new law and the incoming administration was published this week in Chemical and Engineering News.